“Librarians often say that every book is not for every child, but The True Blue Scouts of Sugar Man Swamp is” (The New York Times). Meet Bingo and J’miah, raccoon brothers on a mission to save Sugar Man Swamp in this rollicking tale and National Book Award Finalist from Newbery Honoree Kathi Appelt. Newbery Honoree and Kathi Appelt’s story of care and conservation has received five starred reviews, was selected as a National Book Award finalist, and is funny as all get out and ripe for reading aloud. And help is surely needed, because world-class alligator wrestler Jaeger Stitch wants to turn Sugar Man Swamp into Alligator World Wrestling Arena and Theme Park, and the troubles don’t end there. There is also a gang of wild feral hogs on the march, headed straight toward them all. The Scouts are ready. All they have to do is wake up the Sugar Man. Problem is, no one’s been able to wake that fellow up in a decade . . . or four . . . The following questions may be utilized throughout the novel study as reflective writing prompts or alternatively, they can be used as targeted questions for class discussion and reflection. 1. At the beginning of Chapter 1, as the raccoon brothers watch their parents depart from Information Headquarters, Daddy-O calls out to Bingo and J’miah and says, “Make us proud, boys!” Consider their jobs as Official Scouts of the Sugar Man Swamp. Why is this duty, ordained by the Sugar Man himself, so important? In your opinion, does this pair do a good job fulfilling their duties? Cite textual evidence to support your position. 2. Consider the novel’s title: In what ways does it capture the themes of the book? 3. Describe Chap. What makes him a dynamic character? Is he the type of person you’d want to befriend? Why or why not? 4. Why is Chap’s loss of his grandpa Audie such a profound one? What do you learn about their relationship over the course of the novel? What are the most important life lessons that Chap learns from his grandpa? 5. In your opinion, what are the biggest challenges faced by Chap, Bingo, and J’miah in The True Blue Scouts of Sugar Man Swamp? 6. Based on what you learn about him from the novel, describe Sonny Boy Beaucoup, the man who owns the Sugar Man Swamp. In your opinion, is he a good person? 7. Why is Chap’s discovery of his grandpa Audie’s lost DeSoto such a monumental event? 8. In what ways are Bingo and J’miah typical brothers? Is there anything about their bond that reminds you of the relationship you have with any of your siblings? If so, in what ways? 9. If you could select one character in the novel to learn more about, who would it be? What is it about this particular character you found interesting or intriguing? 10. Consider the novel’s cover. In what ways is the image portrayed there symbolic of the events that transpire throughout the course of the book? 11. In the opening of Chapter 24, Appelt tells readers, “It’s true that pigs can’t fly, but we’re here to talk about hogs.” What is it about the Farrow Gang that strikes such fear in those that know of their hunt for the canebrake? 12. Consider the variety of settings for The True Blue Scouts of Sugar Man Swamp; name the three places you believe to be most important to the story. Using textual evidence from the book, explain why you find them to be significant to the overall story structure. 13. Why is Chap so determined to attract more customers to Paradise Pies? Beyond the financial support the restaurant provides to him and his mother, what does Paradise Pies symbolize for him? 14. 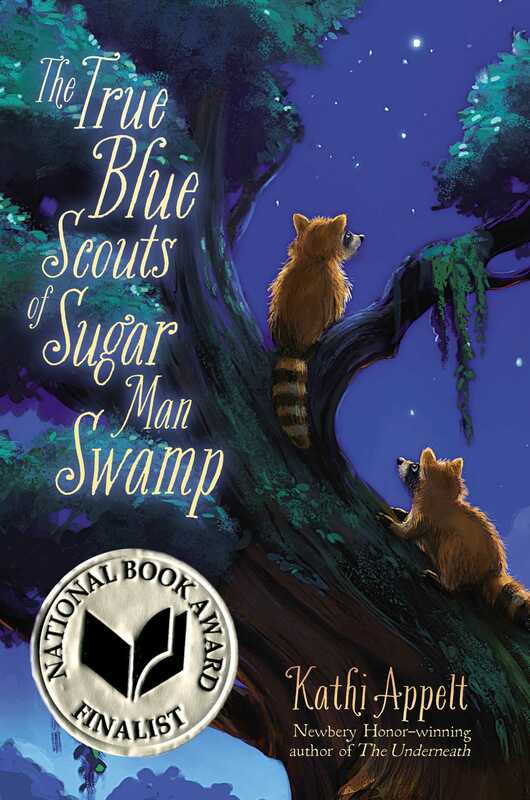 Using the phrase, “This is a story about . . .,” supply five words to describe The True Blue Scouts of Sugar Man Swamp. Explain your choices. This guide was created by Dr. Rose Brock, a teacher and school librarian in Coppell, Texas. 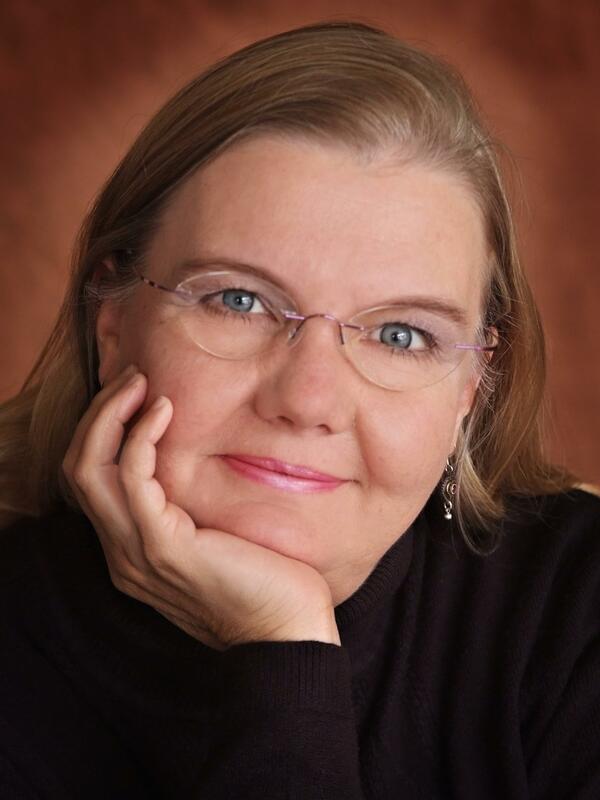 Dr. Brock holds a Ph.D. in Library Science, specializing in children’s and young adult literature. * "This delicious, richly detailed story is told in 104 short chapters, which swing the plot beautifully from one thread to the next and keep the action moving. Appelt’s omniscient third-person narration exudes folksy, homespun warmth while also feeling fresh and funny. A satisfying romp." * "In a honeyed dialect, the omnipresent narrator directly engages readers, ricocheting between the hilarious human and critter dramas to a riotous finale. A rollicking, ripping tall tale with ecological subtext." "Appelt 'nailed it.' She has weaved a delightful yarn with a cast of affable characters and somehow manages to make a rusted 1949 DeSoto in a Louisiana swamp a cozy home for two raccoon scouts--absolutely charming." * "Told from the perspectives of animals and humans, Appelt’s (The Underneath) rollicking tall tale exposes the trouble brewing in Sugar Man swamp. The main concern of Bingo and J’miah, two raccoon Swamp Scouts, is the approaching brood of feral hogs, which could destroy the precious canebrake sugar used to make fried pies at the local Paradise Pies cafe. Meanwhile, 12-year-old Chap Brayburn, the cafe proprietor’s son, is worried about rich, horrible Sonny Boy Beaucoup, who wants to turn the swamp into the “Gator World Wrestling Arena and Theme Park.” The swamp’s salvation may lie with the furry, bearlike Sugar Man, whose “hands were as large as palmetto ferns” and “feet were like small boats,” but finding and awakening him is no easy task. The book’s folksy narrative adds brightness and humor to the story as Appelt explores the swamp’s rich history, varied denizens, and current threats. Heroes and villains are drawn in bold strokes, but while there’s little doubt who will emerge victorious, finding out how events unfurl is well worth the read." *"As with her Newbery Honor book The Underneath, Kathi Appelt sets this captivating web of interconnected stories in the ancient forests of piney trees and integrates the alluring lore of the bayou. But she adopts a lighter voice, just right for a storyteller with a Southern drawl to read aloud. Deep in the Sugar Man Swamp, raccoons Bingo and J'miah serve as Information Officers from the safety of a 1949 DeSoto. Whenever lightning strikes nearby, it triggers "the Voice of Intelligence" (children will quickly realize it's a radio) that often gives them orders. Chap, the 12-year-old grandson of Audie Brayburn, makes it his mission to find his grandfather's DeSoto and complete his quest of locating the Ivory-billed Woodpecker. Ever since Audie's recent death, Sonny Boy Beaucoup, "the official owner" of the swamp, has threatened to run Chap and his mother out of their Paradise Pies Café, so that he can set up a theme park. The local radio announcer's daily sign-off bids "all you swamp critters to have a good day and a good idea," and each character gets at least one. Discover: Newbery Honor author Appelt's return to the bayou setting of The Underneath, with a lighter touch and an environmental theme." "Librarians often say that every book is not for every child, but THE TRUE BLUE SCOUTS OF SUGARMAN SWAMP is." "Some books for young readers perfectly capture childhood...Ms. Appelt has a genius for causing disparate narrative elements to cohere suddenly and movingly, and her talent is on full display in this zestful romp for 8- to 12-year-olds."